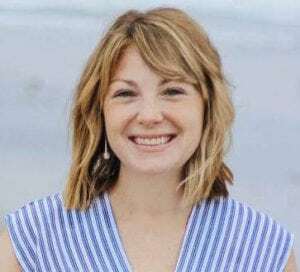 Carrie Fryzel, PsyD – Recovery Now, Inc. I believe everyone has the capacity to live a happy and healthy life; however, at times we need support in order to reach our true potential. My goal as a therapist is to assist my clients on their journey to learn how to live as healthy and healed individuals in order to gain the most from their relationships with others and with themselves. Healing psychotherapy begins with a trusting, respectful and accepting relationship with one’s therapist. As a therapist I work to create a safe and open environment in order to allow my clients to explore their internal and external worlds. I help my clients to make meaning of their thoughts, feelings and experiences through increased self-awareness and self-acceptance. As all humans are unique individuals, I work to develop individualized treatment for each client in order to best meet their specific needs through a combination of theory, research and evidence-based practices. I offer individual and family therapy to children, adolescents and adults. I have experience addressing many mental health issues including (but not limited to) stress, trauma exposure, anxiety, depression, bipolar disorder, ADHD, OCD, adjustment issues, child developmental issues, family relational issues, interpersonal issues and adolescent substance abuse. Additionally, I have a special interest in working with children and adolescents diagnosed with Autism Spectrum Disorder and their families.